How to mix silicone rubber ? the mixing of silicone rubber. Mixing of tough masses such as rubber require special equipment such as kneaders. These mixers need to be robust in construction and consume high power. This kind machine is mainly used in high viscosity product Resins,Sealant,Silicon rubber,Glue/adhesive,Paint,Dye, BMC/CMC, high voltage insulating silicone rubber Sigma Kneader , Pigment,Plastics,Batteries,Tooth paste,Clay etc. 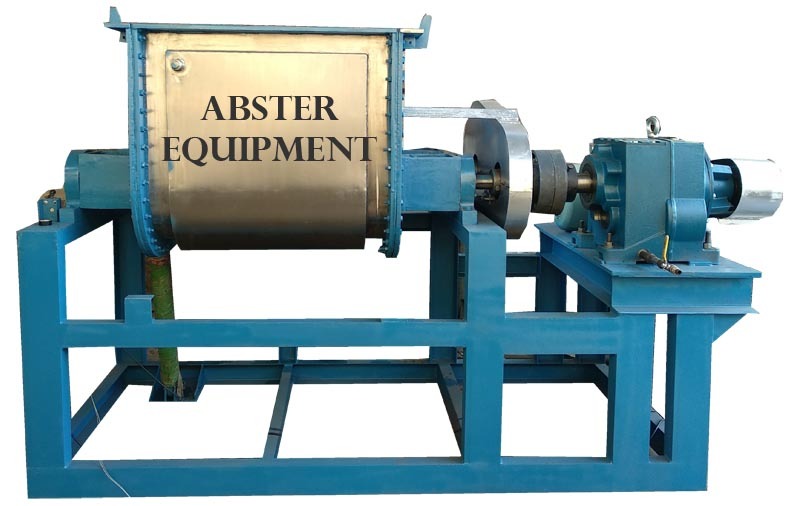 This machine comprises of a double ‘U’ shaped container welded and machined together inside which rotates two ‘Z’ shaped sigma blades in opposite directions. The clearances between the walls and the container are kept to a minimum to ensure maximum efficiency in kneading and mixing. The shafts of the sigma blades are fitted in bearing blocks which are each provided with roller bearings, steel glands/teflon rubber seals for smooth and leakless operations. The kneader is mounted on a sturdy base frame fabricated out of ISMC sections and are free from vibrations. For cooling and heating jackets are provided.Machine equipped with suitable capacity motor & gearbox decided as per characteristics of the product & process. Equipment is provided with Jacket arrangement for heating or cooling applications. 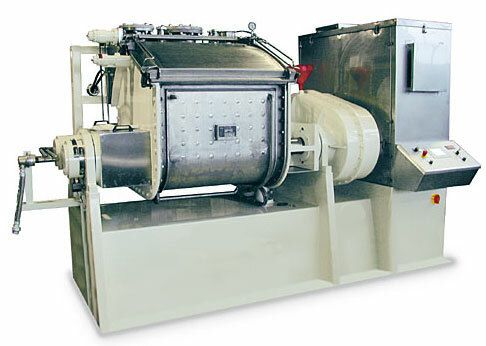 We manufacture Sigma Mixer Kneader in capacity ranging from 5 liters up to 3000 liters.